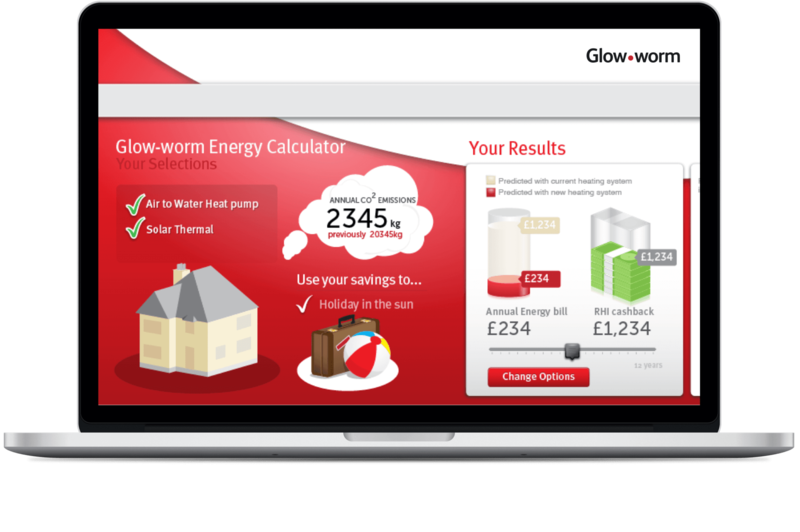 Glow-worm are historically a major player in the domestic boiler market place and with the creation of new Government schemes targeted specifically at renewables, they approached us to help introduce both the scheme and educate the homeowner audience about their new renewable product range. After working through the complex calculations and guidelines on the Renewable energy schemes we decided to focus on a more visual interactive output. By connecting uncommon terminology with everyday visuals we were able to talk directly to end users at a level that would cover a wide range of knowledge bases. Having guided the user through the options, the final step was to put the users in touch with potential installers for the renewable products via their loyalty installer scheme. As with all new projects we strive to fully understand the product and service by breaking it down into core elements that we can understand. To support the user's understanding of the calculations we approached the less tangible information, such as a households CO2 footprint, by animating chimney smoke for example. Most homeowners would be aware of the usual home heating options such as combi boilers and storage heaters. A large part of the project was to introduce the other renewable or more efficient solutions in the range that were available to them. Solar heating, Ground Source heat pumps and Air Water heat pumps were all new options that a homeowner wouldn't necessarily know about. Educating users about installation costs versus government incentives to offset costs and potential long term savings on energy bills. Glow-worm has a large and trusted network of installers and servicing contractors as a result of having run their own successful renewables training schemes. The final and important part of the jigsaw was to match the homeowner with an installer. At the end of the interactive journey, homeowners who were actively looking for renewable options, were put in-touch with local fitters who could specify and install renewable Glow-worm technology in their homes. 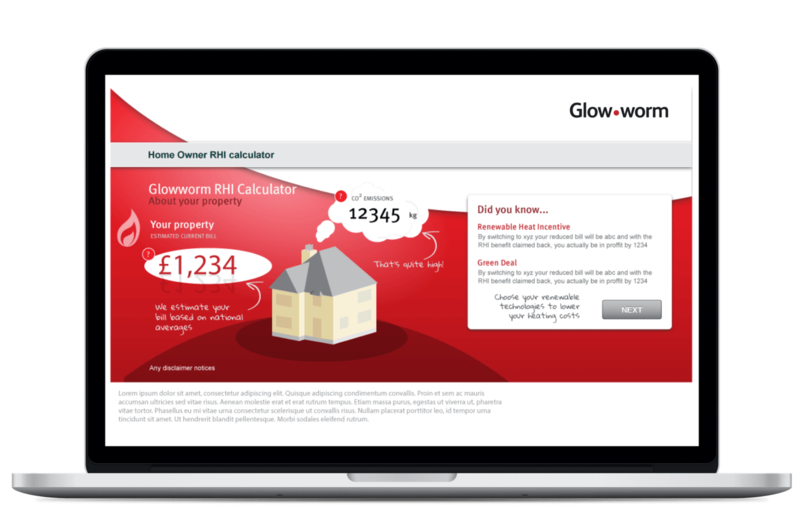 Following on from the successful launch of the the renewables calculator we were then asked to create additional calculators for Glow-worm, each time being added into their existing CMS systems.